You are here: Thoracic Imaging/Einav Shochat, M.D. Received her medical degree from the University of Wisconsin-Madison, School of Medicine Madison, WI. A Transitional Internship was completed at Deaconess Medical Center, Spokane, WA. 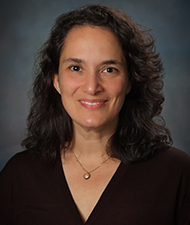 Dr. Shochats’ Residency in Diagnostic Radiology as well as her Fellowship in Cardiopulmonary Imaging was completed at Oregon Health Sciences University in Portland, OR. Dr. Shochat also has earned her Master’s Degree in Zoology from Washington State University in Pullman, WA. Prior to her medical career, Dr. Shochat was a wildlife biologist. In her free time, she enjoys most all outdoor activities.